Blue eyes stared down at the package, twisting it around nervously. This was not something he wanted to be doing, but he had been charged with the task and he would carry it through to the end. He always kept his promises. Raising a trembling hand, he knocked sharply on the door and prayed to forsaken gods for courage. “Can I come in?” Spike asked quietly, needed to do this final task in private. Willow stepped back, letting him slide past. He shuddered as her wards slid across his skin, prickling his demon into the fore. Shaking his head he returned to his human guise and waited for the redhead to rejoin him. “Would you like anything to drink?’ Willow asked. Tears welled up in the witch’s eyes at the reminder and Spike found himself feeling like a heel. He didn’t want to do this. It hurt each time, like a sliver of sunlight scoring his flesh, burning the finality and reality into his skin. Putting the package on a table, he pulled the sobbing woman into his arms. Each tear that hit his skin scalded and he felt his own grief rise up to overwhelming proportions. Ruthlessly he pushed his own sorrow down and focused his attention of Willow, letting her lean her slight weight against his strength. “S’okay, luv, you have every right too,” Spike soothed, running gentle hands down her back. “So, what did you bring me,” she asked brightly, pulling away. “Why last?” Willow asked. She took the present from Spike’s hands, turning it around in her own, trying to determine what lay inside. With careful fingers she removed the wrapping paper to reveal a plain cardboard box. A quick glance at Spike found him staring at her intently, waiting. She opened the box and pulled a wooden bowl from it. The bowl was plain wood, unvarnished with a strange grey sheen on the outside. Confused, she turned to Spike for an explanation. Willow nodded her understanding. Xander would have seen life like that, good and bad together. “On your bowl, it’s the bottom. Buffy and Faith both got a cross and stake set, with his ashes inside the stakes. Made them promise not to lose them. Giles received a traditional Japanese puzzle box, the inlay on it glued with a special resin made with the ashes. Dawn got a necklace, each bead coated,” he told her. 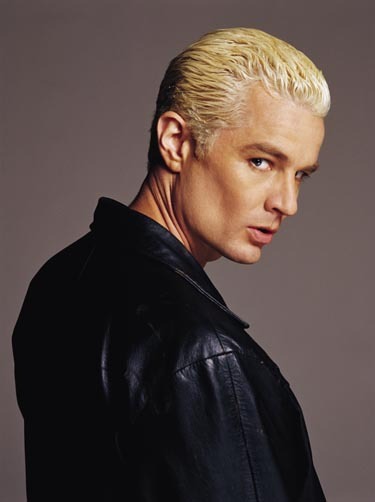 Spike pulled on the chain around his neck, bringing his pendant into view. It was a wood heart with a glass center. The glass shimmered grey for a moment and Willow smiled sadly. “Said I was his heart and he was mine. This way I can keep the two together even though he’s gone.” There were tears in the blonde’s eyes. “He said I’d know when the time was right. I trust my boy, I’ll know when it’s time to go,” he assured her. They sat there in silence, each thinking about the man they had loved and lost before Willow spoke again. “Why didn’t you turn him?” There was no accusation in her voice, only curiosity.